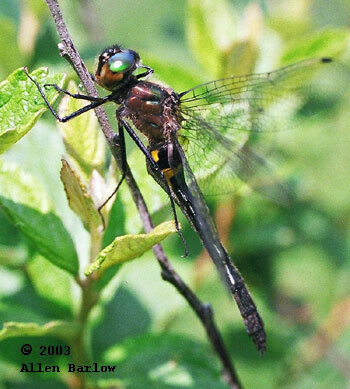 Fairly common in the northern tier of counties where it is found sympatrically with the Petite Emerald and the American Emerald. 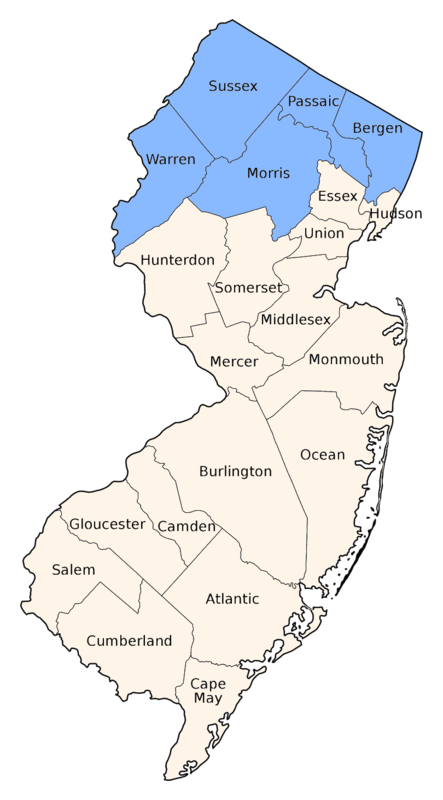 It typically inhabits bogs and the boggy fringes of lakes and ponds. 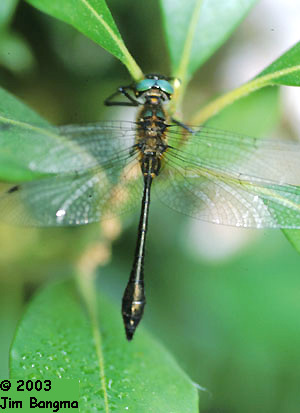 A small Emerald with a strongly clubbed tail. The cerci are strongly convergent when viewed dorsally. 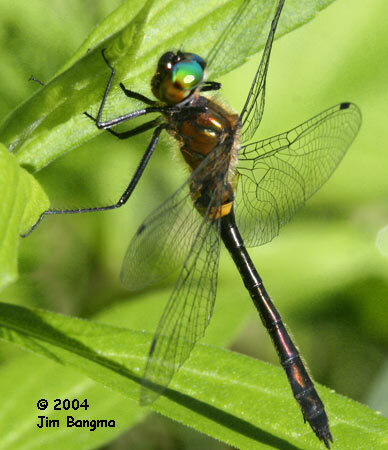 Even females have a larger club than the similar Petite Emerald. 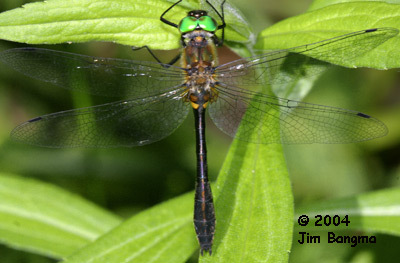 Also compare the larger American Emerald.